Whether it’s raining, 100 degrees, or snowing (!) you’re likely to see someone hiking, mountain-biking, or running Rocky Peak road in Rocky Peak Park. 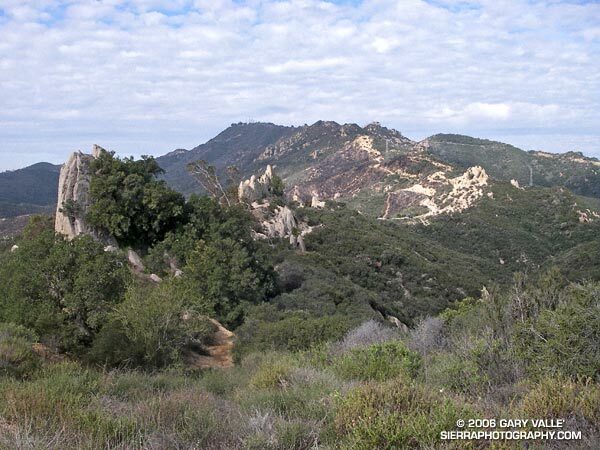 Switchbacking up from the 118 freeway, the fire road climbs along the spine of the Santa Susana mountains. 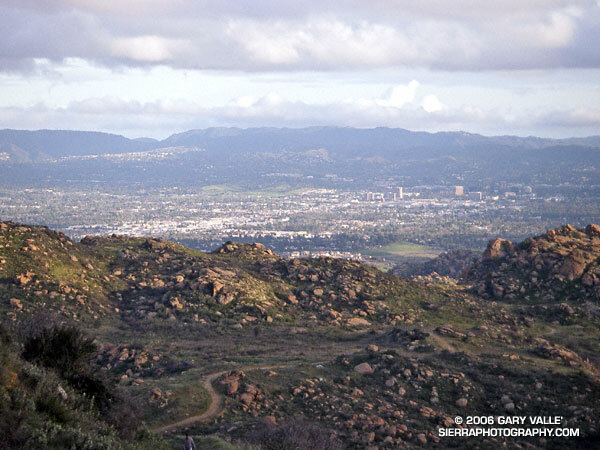 It’s proximity to the San Fernando and Simi Valleys, and array of route variations, make it the choice of many for a morning or afternoon workout. It’s not because it’s easy — the route is steep from the start, gaining 500 ft. in the first three-quarters of a mile, and 1200 ft. in just over 2 miles. Following are some approximate one-way distances and elevation gains. Hummingbird Trail: 0.8 miles 500 ft.
High point at turnoff to peak: 2.4 miles 1200 ft.
Johnson Motorway: 3.2 miles 1350 ft.
Chumash Trail: 3.8 miles 1390 ft.
Fossils: 4.8 miles 1800 ft.
Las Llajas Loop turnoff: 5.5 miles 1950 ft.
End of Rocky Peak Rd at Las Llajas Cyn Rd. 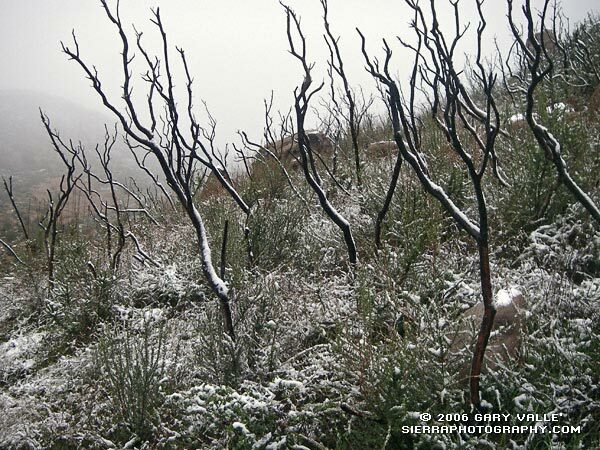 : 6.3 2070 ft.
Related posts: Chumash Trail Snow, Oat Mountain Snow, Sunset Snow Shower.